Tour our historic properties and museums: Visit the Boyhood Home, a National Historic Landmark, Becky Thatcher’s House, Huckleberry Finn House, J.M. Clemens Justice of the Peace Office, Interpretive Center and the Museum Gallery for one ticket Price. Explore interactive exhibits for all ages: Wander through some of Sam’s most famous novels-ride a raft with Huck and Jim, explore a cave with Tom and Becky, pilot a steamboat and paint the famous whitewashed fence. View Memorabilia from Sam’s life: Get an up close view of Mark Twain’s Oxford gown, his white jacket, two of his inventions and other personal artifacts. 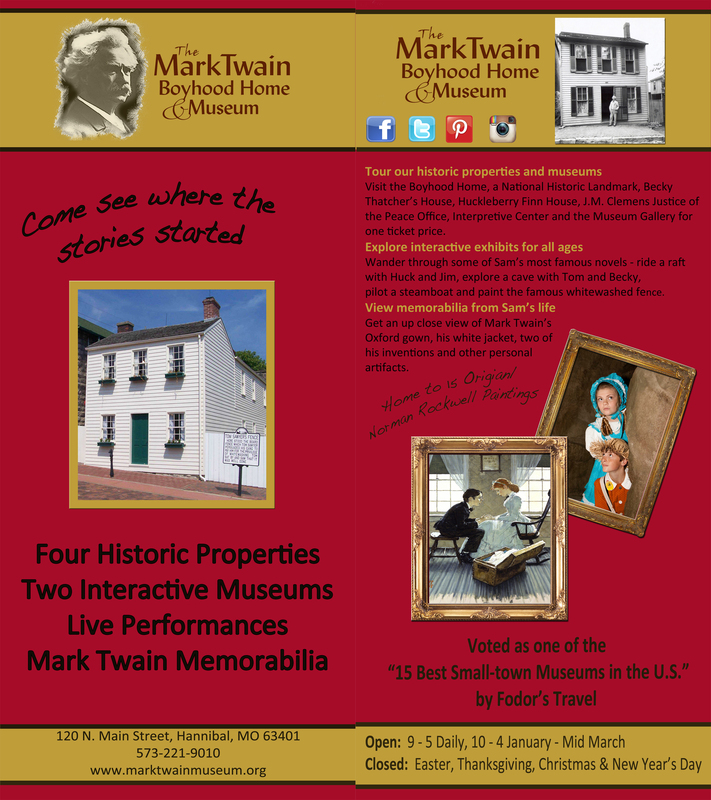 The Mark Twain Boyhood Museum is open year-round. Closed Easter Sunday, Thanksgiving Day, Christmas Day and New Year’s Day. The easiest way to find The Mark Twain Boyhood Home & Museum is to use Google Maps. Click here to get driving directions using Google Maps. We suggest you begin your tour at the Interpretive Center located at 415 N. Main Street, Hannibal, MO. To take an online tour of our properties, click here. 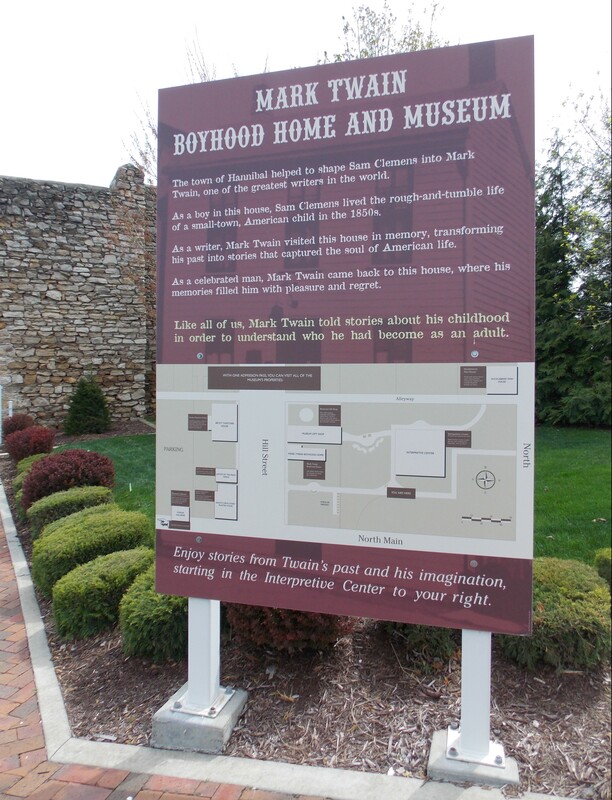 Mark Twain’s Boyhood Home & Garden – see where Sam Clemens grew up (and where the REAL adventures of “Tom Sawyer” took place) in a lovely garden flanked by a stone wall built by the WPA. The home is on the register of National Historic Landmarks. Becky Thatcher House – home of Laura Hawkins, the inspiration for Becky. The home is a museum dedicated to Laura Hawkins and also explores what childhood was like in the mid 1800’s. Museum Gallery – lovely 2-story building featuring interactive exhibits, the Norman Rockwell Gallery, and treasured Clemens family artifacts. Time your visit to see a live performance by Mark Twain! 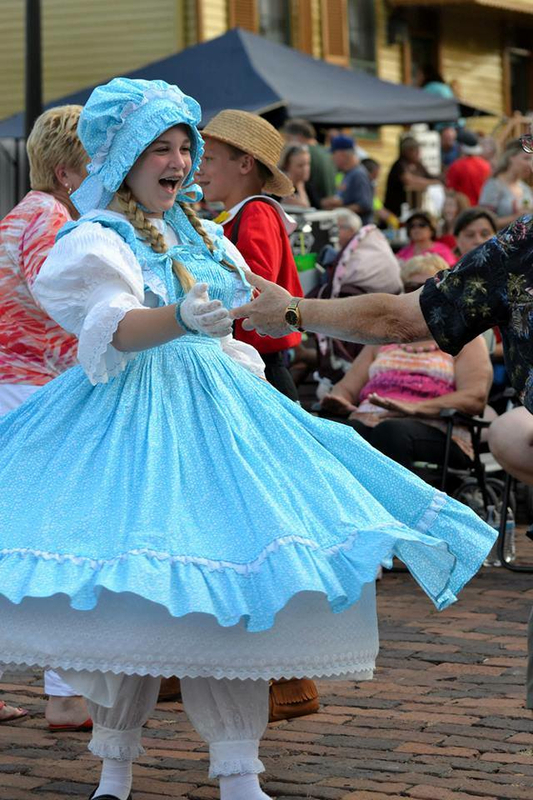 Free Seasonal Mark Twain Performances included with your admission! Visa, Mastercard & Discover gladly accepted. Special discounts apply for groups of 20 or more. Please click on Group Tour Information to learn more.